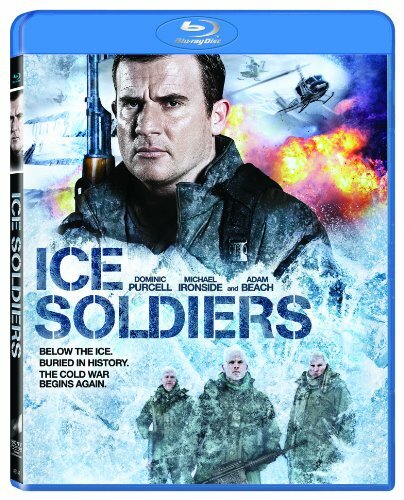 A new kind of Cold War begins in the sci-fi action thriller Ice Soldiers , unleashing on Feb. 25 on Blu-ray(TM) and DVD from Sony Pictures Home Entertainment. Dominic Purcell (TV's "Prison Break," Blade Trinity), Adam Beach (Cowboys & Aliens, Flags of Our Fathers) and Michael Ironside (X-Men: First Class, Terminator Salvation) lead a hard-hitting cast in this gritty, militaristic adventure about a scientific expedition that unearths three genetically engineered Russian super soldiers frozen in ice since the height of the Cold War. Now, the team must stop the killing machines at all costs or risk the total destruction of the Western world.